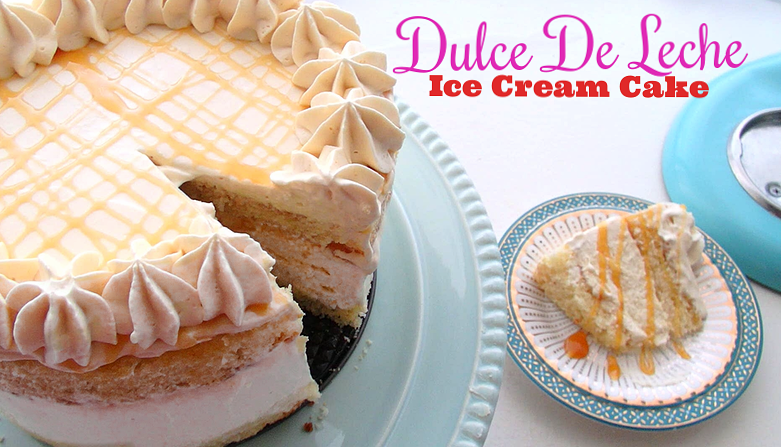 Dulce De Leche Ice Cream Layer Cake! Last summer I surprised you guys (and myself) by pulling an Oreo Ice Cream Cake out the hat! This year I'm doing it again, with a huge twist. The couture cake o meter was on 10 this week when I made this Dulce De Leche Ice Cream Layer Cake FROM SCRATCH. Yes my cakenista, that's including the creamy caramel ice cream. 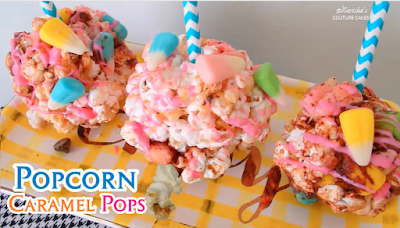 Click below to watch the tutorial. I made my Grandmother's birthday cake and had an extra layer of vanilla cake which I wrapped and stored for my next random creation, then it happened. My initial thought was to make a cake with pure ice cream, then I remembered I had the vanilla layer which would be perfect. 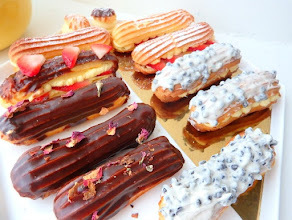 The best part about this is, most of us have our own fave vanilla cake recipes or enjoy the convenience of a boxed cake. So, whatever you prefer is what you'll use. (For whatever size spring-form pan you have, make sure you're using a bigger layer of cake. Ex: if using a 9" spring-form pan, use a 10" cake layer"
Start off by removing the label from the condensed milk can and placing in a sauce pot filled with water. Make sure that the entire can is submerged in water. Simmer on the stove from 2 hours. 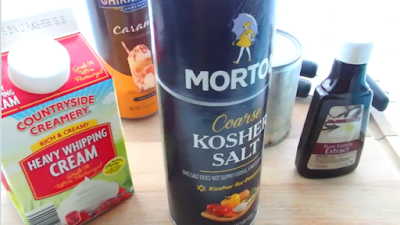 When done, remove the can and place in the refrigerator until completely cooled. To your mixing bowl & whisk attachment- Add 1 pint of heavy whipping cream and begin to whip on medium speed. Add vanilla extract and kosher salt. Whip until peaks begin to form. Then, add the cooled condensed milk (now caramel) to the ice cream base and whip until stiff peak stage. Set aside. 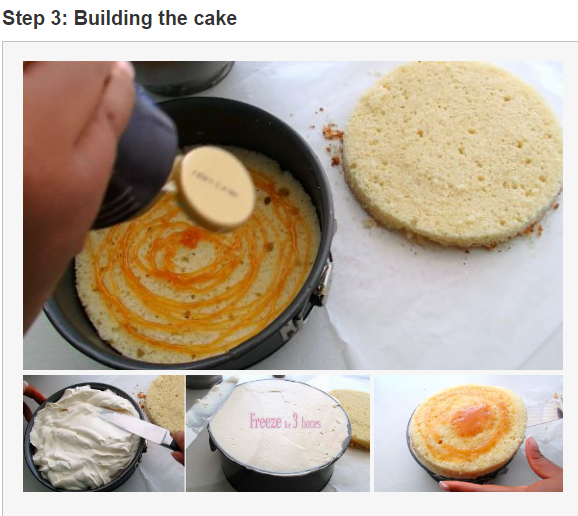 Remove the bottom of the spring-form pan and place over the cooled layer of vanilla cake. 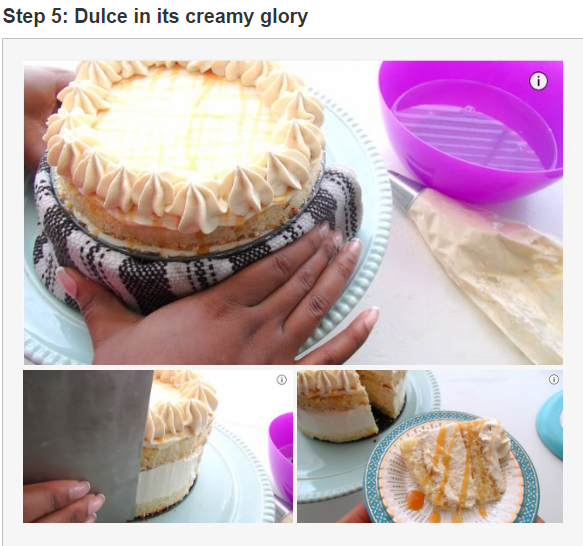 With a knife, use the pan bottom as a stencil and carve around the cake. Enjoy those scraps for later! After trimming the cake, you should be left with a completely edge-less cake layer. 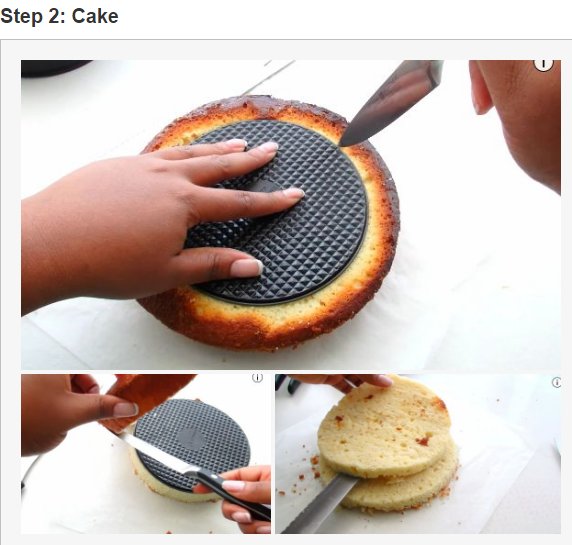 With a long serrated knife, cut through the cake separating into two layers. Add one layer of cake to the spring-form pan and drizzle with caramel syrup - this can be leftover sauce that you made. Spread the caramel on the cake then fill with ice cream base. Use a spatula to level the ice cream base off completely at the top making sure to tap the pan and settle any holes. Freeze for at least 3 hours. Remove from the freezer and drizzle a layer of caramel on top of the somewhat frozen ice cream. Carefully add the second layer and drizzle with caramel sauce as well, making sure to use a spatula to rub that in. Freeze for AT LEAST 4 hours or over night. Refrigerate the leftover ice cream base until the cake is fully frozen. Optional: In the video I decorated the cake before removing the spring-form ring. This was my choice, but some of you might find it more convenient to remove the spring-form pan first then decorate last. If so, come back to this step after you've finished the next one. After the cake has completely frozen, re-whip the last bit of ice cream base if needed and pile a large dollop onto the cake. 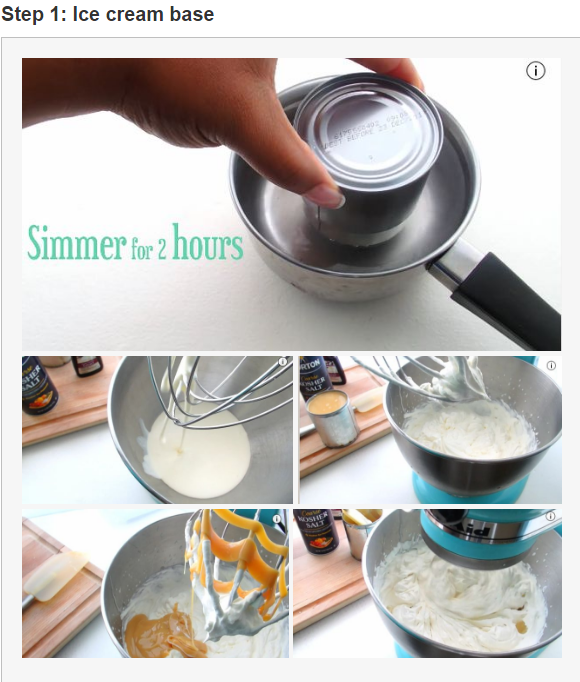 Create a smooth layer then drizzle with caramel sauce. Put the rest of the ice cream base into a piping bag with a large star tip and pipe stars around the top of the cake. Freeze for at least 2 hours to partially set the top or serve immediately if you want it left as whipped cream. To remove the spring-form pan ring, simply put a towel in hot water and wrap around the cake. Hold it there for about 30 seconds on each side. Do this once or twice, then carefully unlatch and remove the pan. 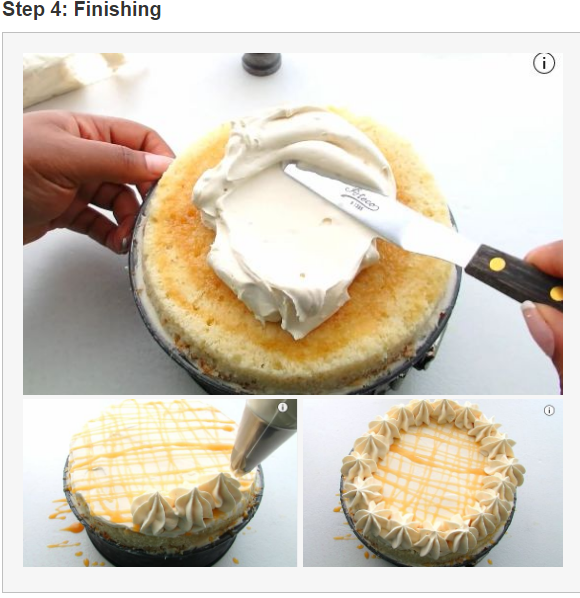 You can clean up the sides of the cake with a cake scraper or knife.